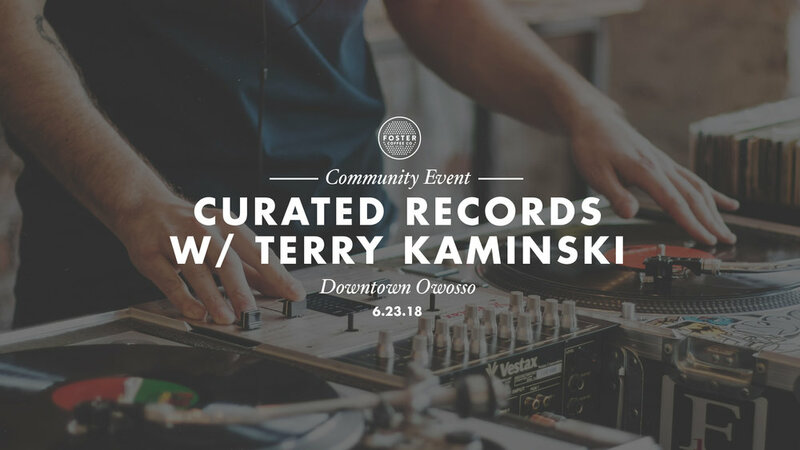 Join us for a curated music experience in downtown Owosso with Terry Kaminski spinning records of rare soul, jazz, and funk. Enjoy your coffee, friends, and family with an incredible curated playlist at Foster Coffee Company. The party starts at 8:30am spinning through the morning. Don't miss this incredible selection of music you won't hear anywhere else.